The Vienna Philharmonic is a great orchestra with a wide and fascinating repertoire. Every year on New Year's Day it plays the world's most famous orchestral concert. This is also one of the most lucrative events in the classical music calendar. The global TV rights alone see to that. But New Year's day comes but once a year. 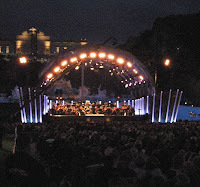 And so in recent years the orchestra has been mounting an outdoor concert in the grounds of the picturesque Schönbrunn Palace in June. So far so good. But why does the program have to be more or less the same old waltz fare that traditionally dominates the January concert? 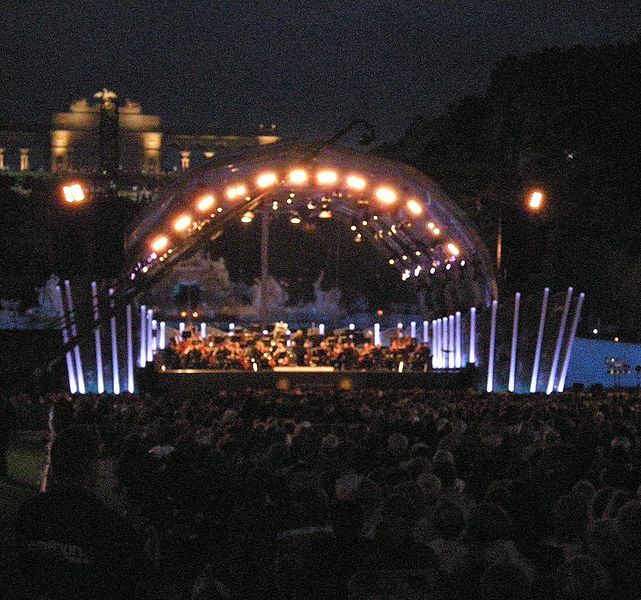 This year's Schönbrunn concert began promisingly enough with film music from John Williams' Star Wars score. But already the second number threw us back into the ballroom of the Strauss clan and their ilk. The result is an admission of programming failure and musical bankruptcy. Of course an outdoor concert on a warm summer night needs toe-tapping favorites, but overloading the program with Viennese schmaltz tells the casual viewer at home that there is no entertaining classical music other than the same old waltz numbers. It is a pity when there is so much other great music for a balmy summer evening.